Buywiser is a new company specialized in getting the best possible deal for CEO’s when it comes to their businesses. 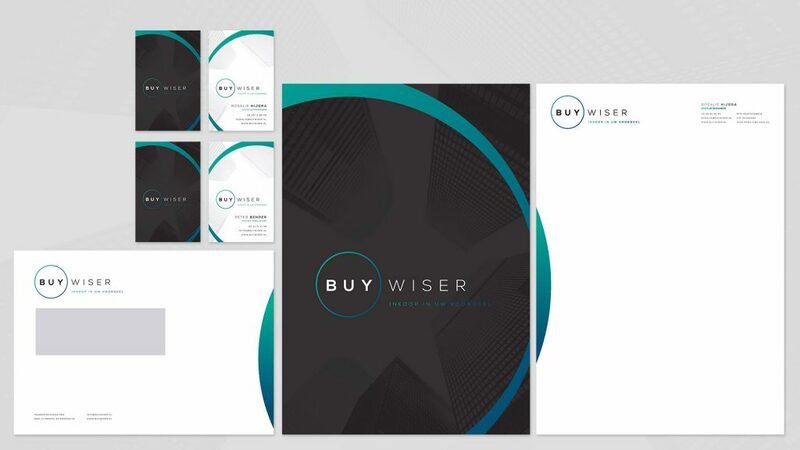 With over 35 years of experience in the field, founders Peter Bender and Rosalie Hijdra, decided to start Buywiser to help small and medium sized enterprises to function more efficient and get the maximum profit out of their products and/or services. With their business model, based on a no-cure-no-pay principle, they came to us with the question to help them bring their idea to market. We pitched our idea for a (visually) simple brand that combines a corporate look with a very personal approach. We did a qualitative marketing & target audience research and developed a marketing and communication strategy document. 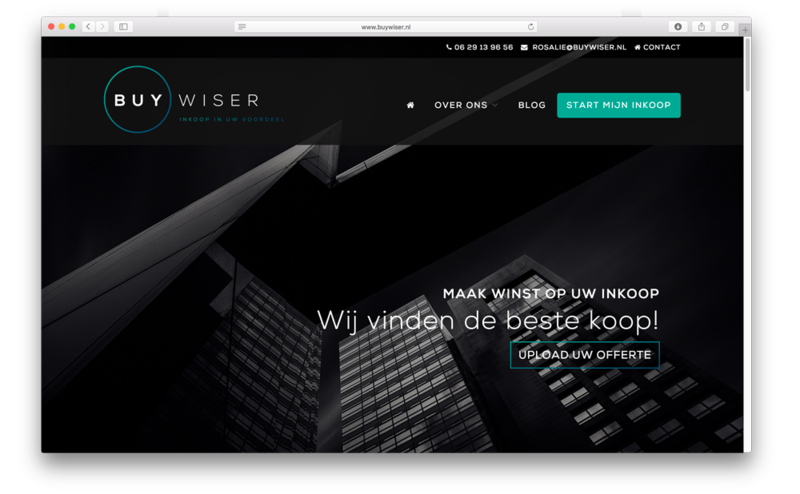 We came up with their pay-off/ slogan “Inkoop in uw voordeel” (translation: purchase in your benefit), a slogan that shows you can enlarge your profit if you find the best deal/ purchase. Buywiser helps SME’s accomplish that goal. With this research and strategy we created three logo & corporate identity proposals. From one of the designs we developed all their marketing & print materials including their website, business cards, business paper, envelopes, social media kit and a corporate animation.